1. These regulations may be called the Insolvency and Bankruptcy Board of India (Fast Track Insolvency Resolution Process for Corporate Persons) (Amendment) Regulations, 2017. 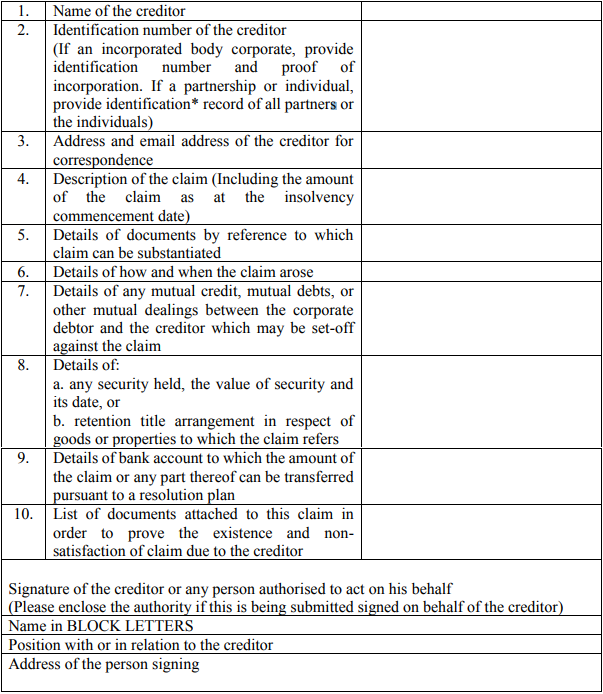 “ 9A.Claims by other creditors. Verified at ______ on this _____ day of ____ 201__ . Note: The Insolvency and Bankruptcy Board of India (Fast Track Insolvency Resolution Process for Corporate Persons) Regulations, 2017 were published in the Gazette of India Extraordinary vide notification No. IBBI/2016-17/GN/REG012 on 14th June, 2017.